Dessa is a poet, singer and hip hop artist who is as interested in scientific theory as she is in lyricism. Her latest album, Chime, showcases her unique hybrid of clever rapping and singing about sometimes weighty issues. Dessa joined Jim and Greg at the Goose Island Tap Room for a conversation and a live performance. Plus, Jim and Greg review Sir Paul McCartney's latest, Egypt Station. Dessa is a rapper, a singer, and a writer. She's a renaissance woman in the truest sense. Dessa has released four albums that showcase her signature sing-song style with the Doomtree hip hop collective out of Minneapolis. Her latest album is called Chime. Her book, My Own Devices: TRUE STORIES FROM THE ROAD ON MUSIC, SCIENCE, AND SENSELESS LOVE was released this month. And if that isn't enough, she recently participated in a science experiment to map her brain! Recently, she and guitarist Matthew Santos joined us and an audience at the Goose Island Tap Room in Chicago for an intimate, acoustic performance and a conversation. The renowned leader of Wings and key member of some other 1960s band, Paul McCartney, recently released his first album of new material in five years. 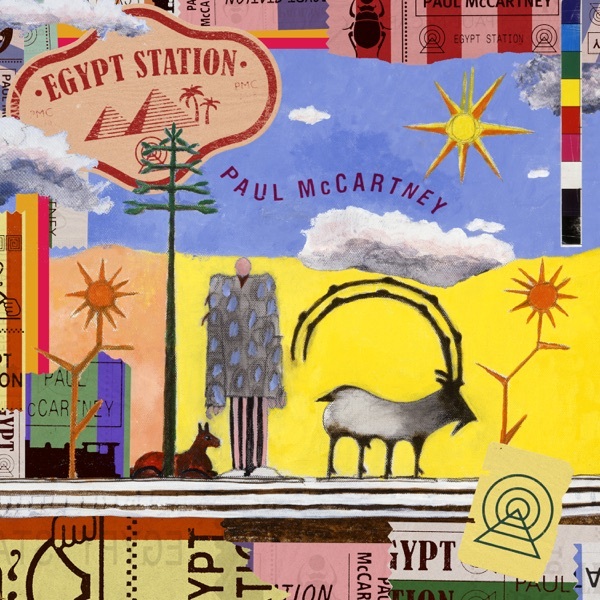 Named for a painting he made in 1988, Egypt Station has Paul working with frequent Adele collaborator Greg Kurstin and with hit pop songwriter and One Republic frontman Ryan Tedder. After an aggressive promotional push, the album debuted at number 1 on the Billboard charts. While Jim and Greg both grant that McCartney is a legend who has earned the right to do whatever he wants, neither considers this album to be among his best. Jim says he's been involved with 20-30 albums that are better than this one, though Greg says the tracks "Who Cares," "Dominos," "Confidante," and "Ceasar Rock" are“top tier McCartney.”Later McCartney albums with the Fireman group, The Liverpool Sound Collage (a collaboration with Super Furry Animals) and even the covers collection Run Devil Run have more staying power in Jim's opinion. Both Jim and Greg agree that the Ryan Tedder-produced single "Fuh You" is "dire McCartney." Reflecting on the 17th anniversary of 9/11, Greg reminds us that two albums came out on September 11, 2001: Slayer's God Hates Us All and Bob Dylan's Love and Theft. He picks a track from the latter, High Water (For Charley Patton), about the cataclysmic Great Mississippi Flood in 1927. The flood displaced 630,000 people, many of whom were African American. It led to a huge surge in the Great Migration northward, only for the Depression to strike just two years afterwards. Greg says he's reminded of this song every September 11th, saying it captures the feeling of hopelessness felt by so many Americans during and after that day.